Should I get Brooks Pure Connect 2? 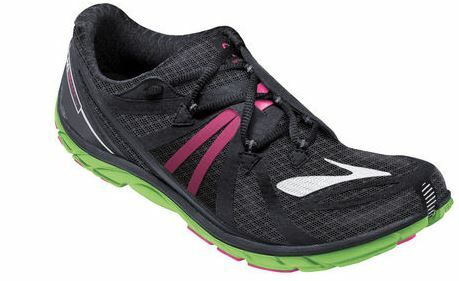 What are your thoughts and opinions on Brooks Pure Connect 2? I see them on sale for $55 right now (last years?) and thinking of buying. I’ve never worn Brooks. I have Brooks Ghost 6, PureFlows, and PureGrits. Love the Brooks line. My question would be what is the heel drop on the Pure Connect compared to what you are wearing now? that will make a HUGE difference in the shoe, and how your biomechanics work when you run. I don’t know. Looks like there is not drop at all. I took a quiz on Runners World to see which shoe is best for me, and this was one of them. No, I’m not going to get fitted! I never really got fitted either. I mean, I do buy my shoes at a local running store and have asked advice, but I’ve never done the whole treadmill/pressure pad/blah blah either. All my shoes have a different heel drop, but knowing that going in helps you utilize them to your advantage. For instance, you can’t heel-strike in zero drop shoes, you’ll strain your calves. So as long as you are aware of what the shoe is and isn’t, I say go for it!! My feet are pretty normal so I’m not sure what a bad shoe feels like, actually. But I’m not doing a lot of miles either. I’m sure the “fitters” are biased based on what they like and don’t like for themselves. I would go to them for specific questions, though. I get a half size larger and that seems to work. I”m only hesitant because I am buying them online and I can’t return as easily. But I”d save a lot of money. I really like the Runners World quiz. Where are they on sale? I ran in Pure Connect for the past couple years then switched to the Glycerin. Now I have terrible IT band issues and just switched back to my old pure connects and no problems! I need a new pair!!! My boyfriend works for a running specialty store (for 15 years now), and he fits people based on the kind of shoe they need. It is important to see how your foot/ankle/leg moves in order to suggest the best shoe. It does no good to them to put you into the wrong shoe…as every running specialty store takes the shoes back if they don’t work for you. It would be a waste of time and energy to send you out the door with a pair of shoes they “know” won’t work and you will return. The Runners World quiz seems to be dead on for me. Based on the shoes that I have been fitted for and the shoes the quiz suggests for me, they are one in the same! I love Brooks, run in both the Glycerin and Ghost…and don’t have any problems. Perhaps you can go try the shoe on in a store and then order them online if you like them Good Luck! Yes, the best thing would be to get two different opinions. This entry was posted in Question and Answers by Runners, Running Shoes. Bookmark the permalink. Just started running, but my feet was killing me, please help!